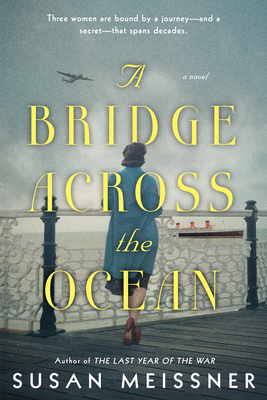 Wartime intrigue spans the lives of three women—past and present—in this emotional novel from the acclaimed author of As Bright as Heaven. February, 1946. World War Two is over, but the recovery from the most intimate of its horrors has only just begun for Annaliese Lange, a German ballerina desperate to escape her past, and Simone Deveraux, the wronged daughter of a French Résistance spy. Present day. Facing a crossroads in her own life, Brette Caslake visits the famously haunted Queen Mary at the request of an old friend. What she finds will set her on a course to solve a seventy-year-old tragedy that will draw her into the heartaches and triumphs of the courageous war brides—and will ultimately lead her to reconsider what she has to sacrifice to achieve her own deepest longings. Susan Meissner is a former managing editor of a weekly newspaper and an award-winning columnist. She is the award-winning author of A Bridge Across the Ocean, Secrets of a Charmed Life, A Fall of Marigolds, Stars Over Sunset Boulevard, and As Bright as Heaven, among other novels.